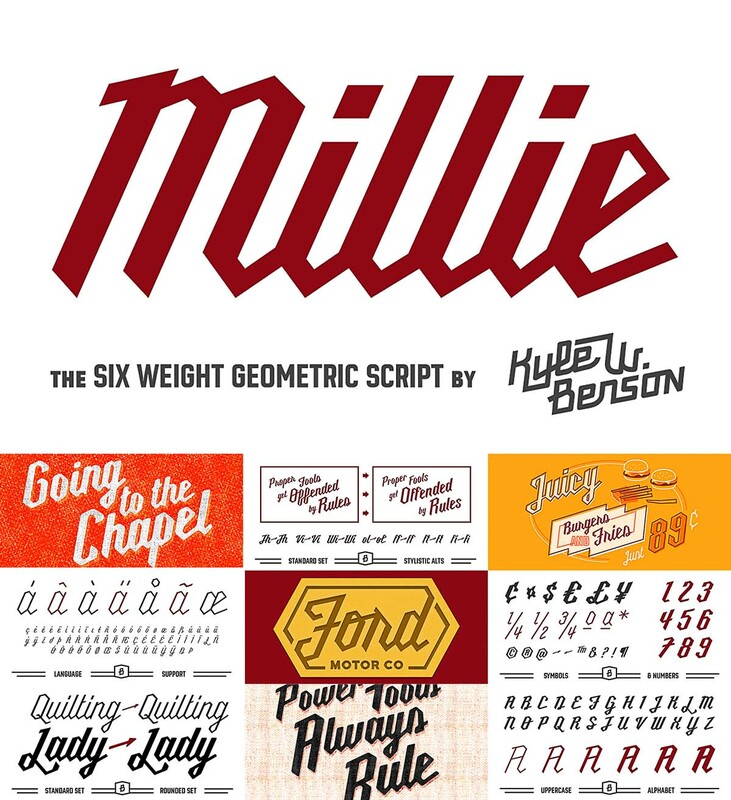 Millie is a stressed, geometric script who spends her days as industrial lettering and her nights paired with blackletter on the patches of motorcycle gangs. Includes 78 European glyphs for every weight. File format: .woff, .otf for Photoshop or other vector software. 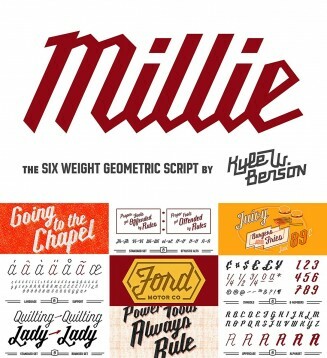 Tags: authentic, family, font, free font, multiple weights, power tools, roman, round, script, tough, typeface, vintage.